AMF is Quebec’s securities regulator. The action appears to mark the first official warning about iGetMania in North America. Separately, CONSOB, the Italian securities regulator, has published a warning on iGetMania that is based on Jan. 21 information received from Commission de Surveillance du Secteur Financier (CSSF), the regulator in Luxembourg. The PP Blog has observed an ad for iGetMania on craigslist in Rome. The Autorité des marchés financiers (“AMF”) is cautioning investors in Québec about an investment program connected to the Portuguese firm GetEasy Limited and the British firm iGetMania Limited. Their investment products are tied in particular to the leasing of global positioning equipment and are promoted via conferences, the web and social media. Through membership programs, members of GetEasy and iGetMania can subscribe to packages (or “packs”) via the Internet. The investment helps finance the acquisition of global positioning equipment for leasing by the firm. Revenues are shared between investors and the firm, and investors are not required to handle any management matters. In turn, investors are urged to recruit two other members and thereby create two teams. New members are then encouraged to recruit two other members each, and so on. Revenue is distributed based on the activity generated by members of each team by way of bonuses, commissions and a point system. Members are lured by promises of hefty profits. The AMF wishes to inform investors that GetEasy and iGetMania have not filed a prospectus and are not registered with the AMF in any capacity. Investors should therefore be very cautious with investment offers from these firms since they might incur losses for which remedies are highly restricted or non-existent. The AMF is closely monitoring this matter and will take any measures deemed necessary in the event of violations under the laws it administers. “GetEasy took off in the wake of the regulatory shut down of TelexFree. 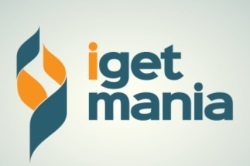 Quick note: Naturally GetEasy/iGetMania has a presence on the MoneyMakerGroup Ponzi forum. TalkGold, too. We’ve been working on Multilevel Marketing for some time already and developed a team with our experience. We are one of the top Portuguese MML groups, directly below the main leaders of the companies that we work with! Recently, we have embraced a new and magnificent company – Geteasy! Geteasy is the most thriving company on Commodate Market around the world. This is highly recommended reading, telling a tale of an incredibly noxious and evolving cross-border fraud scheme. Looks as though a Canadian investigator waded through Kijiji, Facebook, Google+, Twitter and YouTube promos and also learned about “local” meetings to promote the scam in Quebec. The investigator then interacted with a huckster via email, telephone and even a video conference. The narrative basically was typical of revshare scams: you don’t have to do anything to make money, it just flows to you — but you can make more if you recruit. All sorts of references to murky and evolving enterprises appear in the document.